Jesse is using Smore newsletters to spread the word online. 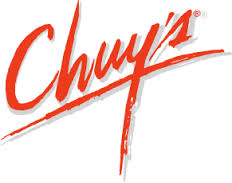 On Friday's Chuy's has a Happy Hour with free chips and queso/salsa. Most popular, to me at least, is their Creamy Jalapeño sauce. Famous "Big as yo' face" Burritos, House Specialties. Targeted Audience is families, with a big, loud environment if kids are being loud and annoying, people won't care. 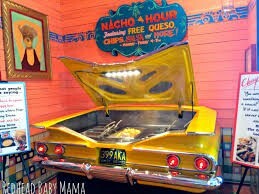 Chuy's is a family friendly restaurant with a regular menu and a kids menu. Business Franchise in multiple locations in Texas, and people buy the locations so Chuy's can build more restaurants in different locations in the U.S. in Texas there are multiple in Austin, Southlake, San Antonio, Denton, etc. 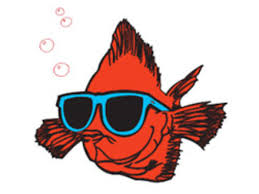 For promotion, Chuy's announces the Green Chili Festival every year and sell shirts that involve Star Wars, Terminator, their Chuy's fish, and others. Across locations, Chuy's restaurants share t-shirts, food, and environment with each restaurant that opens up in different places for the consumer to enjoy. Chuy's sells their food, t-shirts to the customer in return for money so that the franchise can keep doing what they do which is making good food. How does Chuy's have me as a returning customer? Every single time I go to Chuy's I am always impressed with the service, food, and over all atmosphere of the place with good prices on their products and t-shirts that are unremarkably original. Hosts- Lead you to the table that best fits the amount of people you are with either big tables or small tables with 2-3 chairs.